We have integrated flexmonster into our eclipse RCP application (which has a SWT browser component) and it works fine. 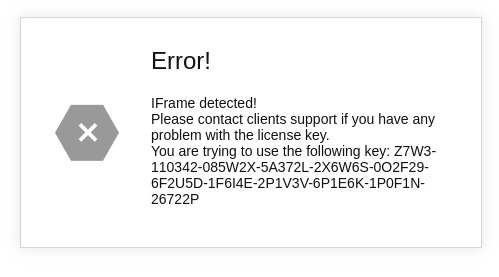 case we are getting the attached error. We have used flexmonster in 2-3 web pages and strangely it works for others and only gives error in one place. I know from one of the forum questions that FM does not support IFrame, but is there any work around for this ? Yes, there is a workaround. Your Client Manager will contact you soon by email with available options.